Introverts have incredible opportunities to build successful businesses, and leveraging online resources is one reason those opportunities exist. I’m pleased to welcome Andrea Lake to The Introvert Entrepreneur podcast to share insights that she’s gained as the founder of multiple businesses, all while balancing her introvert and extrovert energies. Andrea is a serial entrepreneur who has founded 14 companies since she was 18 years old. 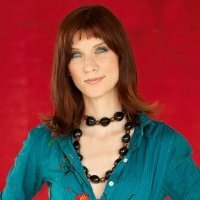 Her current active companies are StickerJunkie.com, YogaJunkie, and Delinquent Distribution, which owns sales rights to the merchandise for the largest video games in the world, including Minecraft. She’s also the co-founder of Mentor Mojo, which we’re going to learn more about during our conversation. We also learn about her experience as a contestant on Donald Trump's show "The Apprentice," including the real reason she was "fired"! This episode is proudly sponsored by 100mustreads.com, provider of business book summaries of some of the bestselling books on the market today. Listen for a special offer during the episode!